A year after his breakthrough performance in Call Me By Your Name, Timothee Chalamet - now a seasoned veteran at the age of 22 - is again the toast of the autumn film festival circuit. Though there were few doubters after Chalamet became the youngest best-actor Oscar nominee in almost 80 years, the actor's performance in the father-son addiction drama Beautiful Boy has resolutely confirmed Chalamet as one of the most talented actors of his generation. In the film, which made its debut at the Toronto International Film Festival, Chalamet plays Nic Sheff, the young son of David Sheff (Steve Carell). In scenes that toggle between the father's happier memories with his son and the crushing cycles of rehab and relapse that come later, Beautiful Boy is a realistic depiction of drug addiction, as seen through the prism of a family. Chalamet's layered performance runs from a boyish, curious kid to a young man in freefall. It's returned him to the top of Oscar predictions lists, only this time slotted in among supporting-actor favorites. Some have joked that if Chalamet, who was trumped in March by Gary Oldman, were to win, it would effectively be like a lifetime achievement award for the young actor. The film, directed by Felix van Groeningen, is based on memoirs by both Sheffs: David's Beautiful Boy: A Father's Journey Through His Son's Addiction and Nic's Tweak: Growing Up on Methamphetamines. Both attended the Toronto premiere, receiving rounds of applause when they took the stage alongside their fictional doppelgangers. 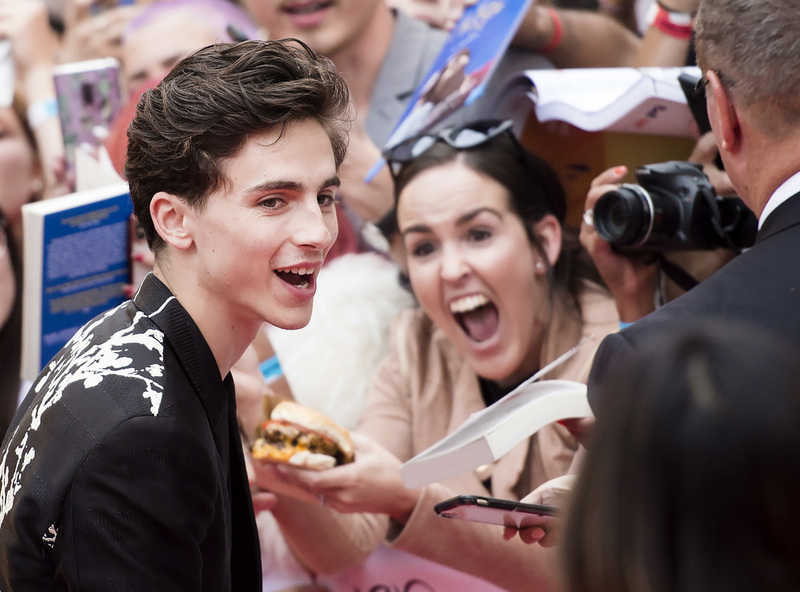 For Chalamet, the last year has been a whirlwind that swept him across countless awards season stages and made him a new-generation matinee idol. In Toronto, his trimmed locks (for a recently shot movie) and suave French answers on the red carpet spread like wildfire across social media. Chalamet is a lifelong New Yorker whose father is French. But Chalamet's most prized experiences from the past year or so are more about the work and the people it's brought him in contact with. Beautiful Boy, which was shot in the spring of 2017, meant working with Carell. Chalamet will also soon shoot Gerwig's Little Women, an adaptation of Louisa May Alcott's novel with Saoirse Ronan and Meryl Streep.